Sunday March 31st at the Chuckanut Community Forest. This has been an important reference site for our program. This site has wonderful wetlands with lots of amphibian use and diverse populations. Difficulty varies from easy to moderately difficult depending on the wetland and accessing survey sites requires off-trail work. We will be meeting at 10 am just a bit south of the intersection of 24th Street and Fairhaven Parkway. We will have chest waders to loan, but if you have some please bring them. Bring a lunch and be prepared for the the weather and lots of fun. Saturday April 6th at the Stimpson Family Nature Preserve. This gem of a natural area is an important habitat for a wide range of amphibians. We will be surveying the beaver ponds at this site. The survey terrain is in water and does have very uneven ground and is off trail. We love all of your help, but if you are not comfortable in this conditions you might wait till other things pop up. We will be meeting at 10 am at the parking area off Lake Louise Road for the Stimpson Preserve. We will have chest waders to loan, but if you have some please bring them. Bring a lunch and be prepared for the the weather and lots of fun. Oregon Spotted Frog Survey Training Sign-Up: The countdown to the start of our Oregon Spotted Frog season is underway! Please join us in supporting this threatened species by helping us collect vital data from local populations, including conducting egg mass surveys with us. We ask that you have some previous experience with amphibians, such as past participation in WCAMP’s citizen science program. If you are interested in signing up for our training or have questions, please contact Stephen Nyman at stephen@whatfrogs.org. Our surveys are performed under authorization by the U.S. Fish and Wildlife Service, and in partnership with Washington Department of Fish and Wildlife and the Whatcom Land Trust. 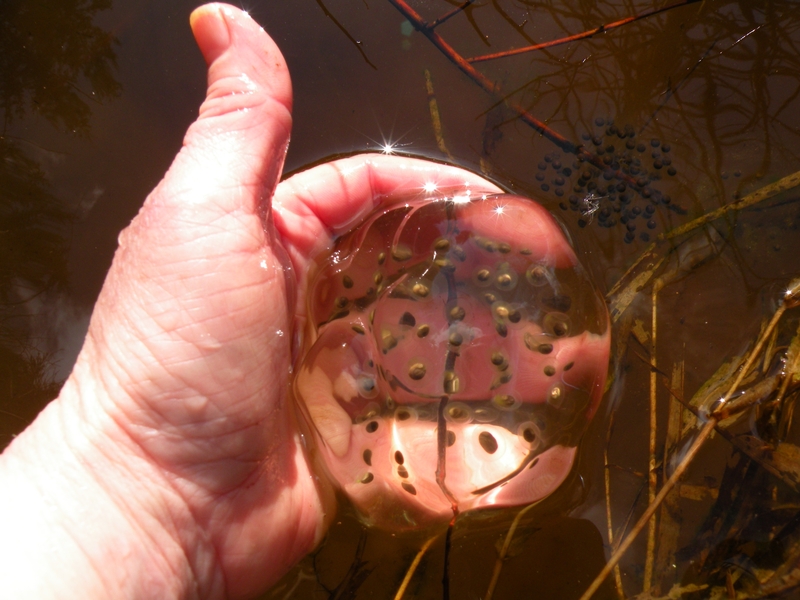 WCAMP’s annual Oregon Spotted Frog egg mass survey training will be held on Saturday March 16, beginning at 9:00 at the Whatcom Land Trust office (412 North Commercial Street, Bellingham). The training will cover everything you will need to familiarize yourself with our favorite frog (or enjoy a refresher course) and its habitat, as well as the other species we may encounter, survey protocols, field safety, and other important information. If weather conditions are favorable to see frogs, we will then car-pool to an Oregon Spotted Frog site. We will plan to conclude the field day by 2:00 or 2:30. We hope that everyone will commit to doing one or more formal surveys with us in the weeks after the training. Survey participants are required to do the training or have demonstrated previous experience. We will have coffee and some snacks for the morning, but please bring whatever other sustenance you will need to stay comfortable in the field.Dress warmly and to stay dry all day, regardless of the weather. We will not be able to provide waders or hip-boots for use on March 16 (at minimum you should have calf- or knee-high boots), but we should be able to do so for subsequent surveys. More information will be provided prior to the training.